To be human is to have questions. Some of these are incidental like ‘what is the point of wasps?’ and ‘where did I leave my keys?’, and some of them are more significant like ‘Why am I here? What is the point of life? Is there a God? What is he like? Does God care?’ What happens to us when we die?’ Well, at St Mary’s and United Church, we are wanting to find out Ferndown’s Big Questions! If you could ask anything at all about life and God, what would it be? 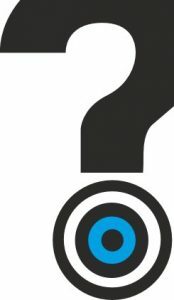 We’re going to take a poll which will run from 1st – 29th October – if you have a question please submit it online at www.fb4q.org.uk, or put it into the boxes at St Mary’s or United Church. No question is off-limits – it can be as controversial or as sceptical as you like! We will then collate the questions and see which four come up most often. This will be followed by four sessions where we will attempt to address Ferndown’s Big Questions to see if the Bible can give us some insight to the answers. These sessions will be held on 5th, 12th, 19th and 26th November at 7.30pm in the Beacon Café at St Mary’s Ferndown – come along and see if your question is one of the Big Four! The evenings are free, and refreshments will be provided.